and thousands of times since then. See Space of Love Magazine, April 2009.
having a moment of awakening. 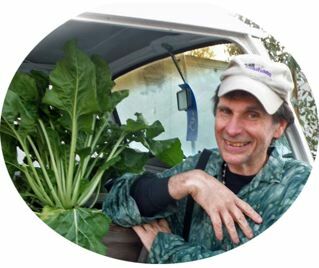 We can grow a bit of our own food. Look out, care for, tend those dreams being planted here. Washington can not believe its ears!!! they thought that they had voted into office. This can never be the case in America the Beautiful! 1000 years of peace start now. Sustainability again rules the land. 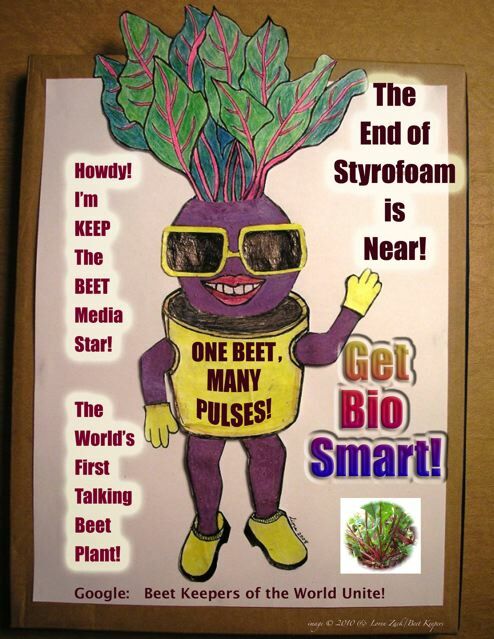 is Keep the Beet Media Star, the Worlds Frst Talking beet plant. 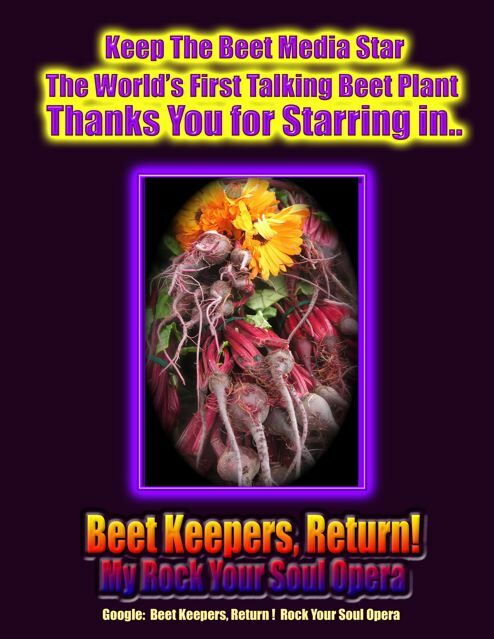 with nature through planting a beet in a pot. 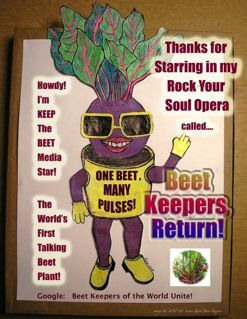 Keep the Beet. 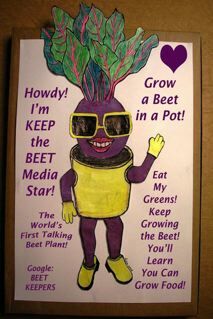 Eat the Greens, says Keep the Beet. 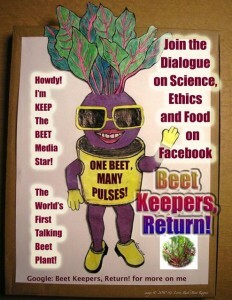 JOIN THE BEET KEEPERS NOW! 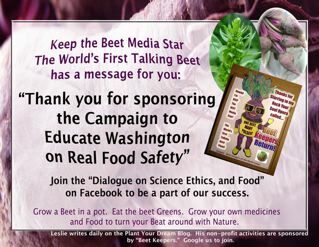 to Educate Washington on Real Food Safety. $8.00 goes to the Campaign!!! WANT YOUR SEED DREAM PLANTED? Heartfelt thanks for another “Enchanted” plant. I love + bless it & you. It graces my desk beautifully. Thank you! to sell millions. I wish the same for you."